Since saithe lives in the North Sea next to the Netherlands we are able to catch our saithe ourselves. However, sometimes we have to import our saithe from China. But we can ensure you that our imported fish meets our high standards in terms of quality and food safety, because we know our suppliers personally. When the saithe is caught it is immediately processed and deep-frozen to keep the freshness. After all, fish tastes the best when it is fresh. As a supplier ourselves we sell our saithe fillet portions skinless, skin on, boneless and with tails. 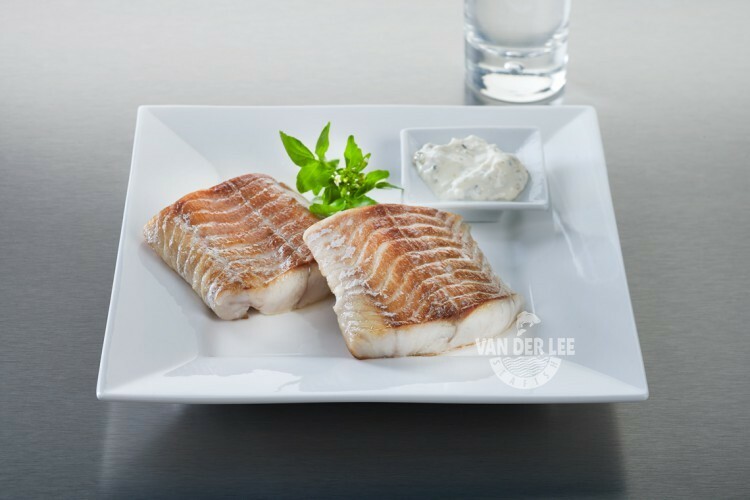 We also have crispy saithe fillets available at our ‘Added Value’-page. Saithe can be characterised by the clear stripe on its body and its bright silver colour with a dark green back. However, when you salt or smoke saithe it gets a salmon-like colour. The flesh of saithe has a sweet and delicate flavour and a firm texture. Saithe is also very nutritious, since it is an excellent source of protein, selenium and B vitamins. It is especially rich in vitamin B12, which is important for the formation of red blood cells and the functioning of the brain and nervous system. Our saithe fillet portions do not contain any carbohydrates, unless you batter or bread them. One hundred grams of the fillets contain around 92 calories, which depends on the way in which you prepare them of course. We mainly export our saithe fillets portions to retailers, catering industries and institutions in Spain, Italy, Germany and the United Kingdom. But saithe is actually popular in a lot of countries, which is one of the reasons why there are a lot of ways to eat the fish. For example in the United Kingdom the saithe is often used as an alternative of cod, which means that saithe can be used in cod recipes too. Saithe is most of the times served with vegetables. However, the fish tastes also great when it is used in a fish pie or when you serve it with a salad. You can also season the saithe fillet portions with herbs and cheese. This will make the fillets even more delicious.